"Personnel" redirects here. For Military service members, see Military personnel. 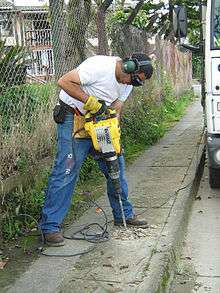 A construction worker using a jackhammer in Colombia. Employment is a relationship between two parties, usually based on a contract where work is paid for, where one party, which may be a corporation, for profit, not-for-profit organization, co-operative or other entity is the employer and the other is the employee. Employees work in return for payment, which may be in the form of an hourly wage, by piecework or an annual salary, depending on the type of work an employee does and/or which sector she or he is working in. Employees in some fields or sectors may receive gratuities, bonus payments or stock options. In some types of employment, employees may receive benefits in addition to payment. Benefits can include health insurance, housing, disability insurance or use of a gym. Employment is typically governed by employment laws or regulations and/or legal contracts. An employee contributes labor and expertise to an endeavor of an employer or of a person conducting a business or undertaking (PCBU) and is usually hired to perform specific duties which are packaged into a job. In a corporate context, an employee is a person who is hired to provide services to a company on a regular basis in exchange for compensation and who does not provide these services as part of an independent business. There are many ways that employees are paid, including by hourly wages, by piecework, by yearly salary, or by gratuities (with the latter often being combined with another form of payment. In sales jobs and real estate positions, the employee may be paid a commission, a percentage of the value of the goods or services that they have sold. In some fields and professions (e.g., executive jobs), employees may be eligible for a bonus if they meet certain targets. Some executives and employees may be paid in stocks or stock options, a compensation approach that has the added benefit, from the company's point of view, of helping to align the interests of the compensated individual with the performance of the company. The American philosopher John Dewey posited that until "industrial feudalism" is replaced by "industrial democracy", politics will be "the shadow cast on society by big business". Thomas Ferguson has postulated in his investment theory of party competition that the undemocratic nature of economic institutions under capitalism causes elections to become occasions when blocs of investors coalesce and compete to control the state. Pakistan has Contract Labor, Minimum Wage and Provident Funds Acts. Contract labor in Pakistan must be paid minimum wage and certain facilities are to be provided to labor. However, the Acts are not yet fully implemented. Those older than the statutory defined retirement age may continue to work, either out of enjoyment or necessity. However, depending on the nature of the job, older workers may need to transition into less-physical forms of work to avoid injury. Working past retirement age also has positive effects, because it gives a sense of purpose and allows people to maintain social networks and activity levels. Employment is no guarantee of escaping poverty, the International Labour Organization (ILO) estimates that as many as 40% of workers as poor, not earning enough to keep their families above the $2 a day poverty line. For instance, in India most of the chronically poor are wage earners in formal employment, because their jobs are insecure and low paid and offer no chance to accumulate wealth to avoid risks. 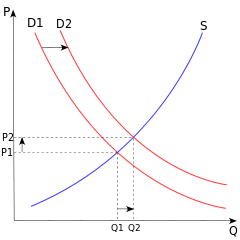 According to the UNRISD, increasing labor productivity appears to have a negative impact on job creation: in the 1960s, a 1% increase in output per worker was associated with a reduction in employment growth of 0.07%, by the first decade of this century the same productivity increase implies reduced employment growth by 0.54%. Both increased employment opportunities and increased labor productivity (as long as it also translates into higher wages) are needed to tackle poverty. Increases in employment without increases in productivity leads to a rise in the number of "working poor", which is why some experts are now promoting the creation of "quality" and not "quantity" in labor market policies. This approach does highlight how higher productivity has helped reduce poverty in East Asia, but the negative impact is beginning to show. In Vietnam, for example, employment growth has slowed while productivity growth has continued. Furthermore, productivity increases do not always lead to increased wages, as can be seen in the United States, where the gap between productivity and wages has been rising since the 1980s. Researchers at the Overseas Development Institute argue that there are differences across economic sectors in creating employment that reduces poverty. 24 instances of growth were examined, in which 18 reduced poverty. This study showed that other sectors were just as important in reducing unemployment, as manufacturing. The services sector is most effective at translating productivity growth into employment growth. Agriculture provides a safety net for jobs and economic buffer when other sectors are struggling. Various youth subcultures have been associated with not working, such as the Hippy subculture in the 1960s and 1970s (which endorsed the idea of "dropping out" of society) and the punk subculture, in which some members live in anarchist squats (illegal housing). In some countries, individuals who are not working can receive social assistance support (e.g., welfare or Food stamps) to enable them to rent housing,buy food, repair or replace household goods, maintenance of children and observe social customs that require financial expenditure. Those who work under obligation for the purpose of fulfilling a debt, such as an indentured servant, or as property of the person or entity they work for, such as a slave, do not receive pay for their services and are not considered employed. Some historians suggest that slavery is older than employment, but both arrangements have existed for all recorded history. Indenturing and slavery are not considered compatible with human rights and democracy. 1 2 Stephen Dakin and J. Scott Armstrong (1989). "Predicting job performance: A comparison of expert opinion and research findings" (PDF). International Journal of Forecasting. 5: 187–194. doi:10.1016/0169-2070(89)90086-1. ↑ Archer, Richard; Borthwick, Kerry; Travers, Michelle; Ruschena, Leo (2014). WHS: A Management Guide (4 ed.). Cengage Learning Australia. p. 30-31. ISBN 9780170270793. Retrieved 2016-03-30. The most significant definitions are 'person conducting a business or undertaking' (PCBU). 'worker' and 'workplace'. [...] 'PCBU' is a wider ranging term than 'employer', though this will be what most people understand by it. 1 2 Robert A. Ristau (2010). Intro to Business. Cengage Learning. p. 74. ISBN 0538740663. ↑ J. Mayhew Wainwright (chairman); et al. (1910). Report to the Legislature of the State of New York by the Commission appointed under Chapter 518 of the laws of 1909 to inquire into the question of employers' liability and other matters. (Report). J. B. Lyon Company. pp. 11,50,144. 1 2 Deakin & Wilkinson 2005. 1 2 3 Marx 1847, Chapter 2. 1 2 3 4 Ellerman 1992. 1 2 3 Lazonick 1990, p. 37. ↑ "House of Reps seals 'death' of WorkChoices - ABC News (Australian Broadcasting Corporation)". Australian Broadcasting Corporation. 2008-03-19. Retrieved 2014-02-15. 1 2 3 4 "Brown v. J. Kaz, Inc., No. 08-2713 (3d Cir. Sept. 11, 2009)". Retrieved 2010-01-23. ↑ "Contract types and employer responsibilities". gov.uk. Retrieved 21 May 2014. ↑ United States v. Latham, 754 F.2d 747, 750 (7th Cir. 1985). ↑ "Termination". United States Department of Labor. Retrieved 27 September 2012. 1 2 "CDC - Young Worker Safety and Health - NIOSH Workplace Safety and Health Topic". www.cdc.gov. Retrieved 2015-06-15. 1 2 3 4 "Work-Related Motor Vehicle Crashes" (PDF). NIOSH Publication 2013-153. NIOSH. September 2013. ↑ "Work-Related Motor Vehicle Crashes: Preventing Injury to Young Drivers" (PDF). NIOSH Publication 2013-152. NIOSH. September 2013. ↑ Chosewood, L. Casey (May 3, 2011). "When It Comes to Work, How Old Is Too Old?". NIOSH: Workplace Safety and Health. Medscape and NIOSH. 1 2 3 4 5 6 Budd, John W. (2004) Employment with a Human Face: Balancing Efficiency, Equity, and Voice, Cornell University Press. 1 2 3 Rayasam, Renuka (24 April 2008). "Why Workplace Democracy Can Be Good Business". U.S. News & World Report. Retrieved 16 August 2010. Acocella, Nicola (2007). Social pacts, employment and growth: a reappraisal of Ezio Tarantelli’s thought. Heidelberg: Springer Verlag. ISBN 978-3-790-81915-1. Lee, Eddy (January 1996). "Globalization and Employment: Is Anxiety Justified?". International Labour Review. 135 (5): 485–498 – via Questia. Markey, Raymond; Hodgkinson, Ann; Kowalczyk, Jo (2002). "Gender, part-time employment and employee participation in Australian workplaces". Employee Relations. 24 (2): 129–150. doi:10.1108/01425450210420884. Stone, Raymond J. (2005). Human Resource Management (5th ed.). Milton, Qld: John Wiley. pp. 412–414. ISBN 978-0470804032. Wood, Jack M. (2004). Organisational Behaviour: A Global Perspective (3rd ed.). Milton, Qld: Wiley. pp. 355–357. ISBN 978-0470802625. Look up employee or employment in Wiktionary, the free dictionary. 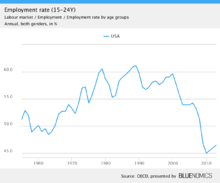 Wikimedia Commons has media related to Employment.